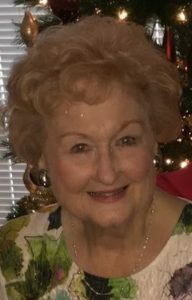 Martha Dee Angermiller, 81, of Baytown, Texas went to be with her Heavenly Father on Monday, April 8, 2019, in a Baytown Hospital with her daughters by her side. She was born on August 3, 1937 in Beeville, Texas to Curtis and Elizabeth Murphy. She graduated from Kenedy High School and went to work as a bookkeeper. She retired from Tiller and Company in 2017 after forty years of employment. In 1956, she married Leroy Angermiller, the love of her life. She loved serving others and family was the most important thing to her. She loved her grandchildren and great-grandchildren deeply and was happiest when we were all together. She was a member of the Second Baptist Church in Baytown. She was preceded in death by her parents; her brother Curtis (Pat) Murphy JR. She is survived by her sister, Marianne Stockton, of Benton, AR; daughters: Gloria Graves and husband Paul; Sandy Hicks and husband Dallas. Her grandchildren, Jason Graves and wife Lauren; Justin Graves and wife Holly; Ashley Thurgood and husband Travis. Great-Grandchldren: Gavin Graves, Katilyn Graves, Grayson Graves, Chandler Thurgood, Kynnadee Westin Thurgood; as well as numerous extended family. The family would like to express their thanks to Dr. Chris Hays and staff as well as to St. James and staff during this last difficult year. An extra special thanks also to her nurses, Chris, Rose, Ruth and Irene at St. James. Visitation was held Wednesday, April 10th at 5:00p.m. at Navarre Funeral Home. Graveside services will be held Saturday, at 11:00a.m. at Kenedy Cemetery, Kenedy, TX. with Gerald Harris officiating. Copyright © 2019 Eckols Funeral Home.